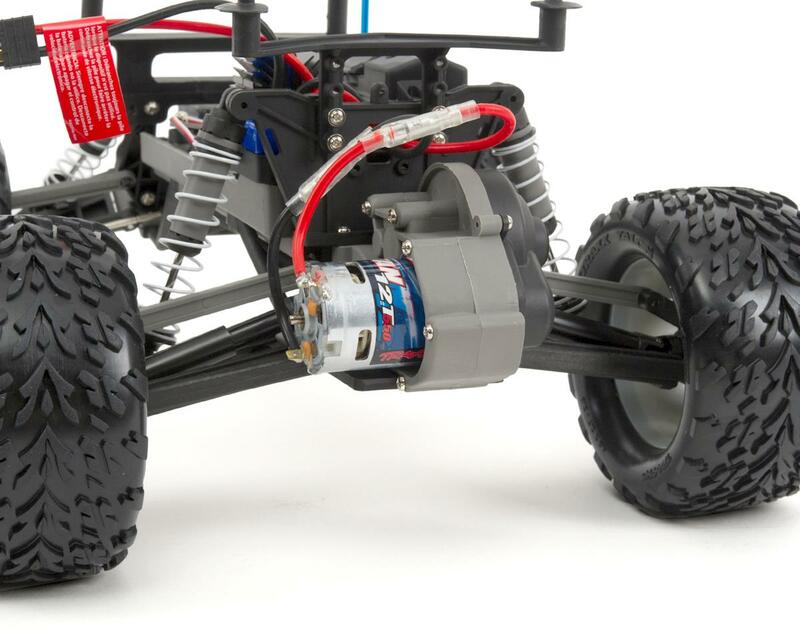 The Traxxas Stampede is the original high performance monster truck. 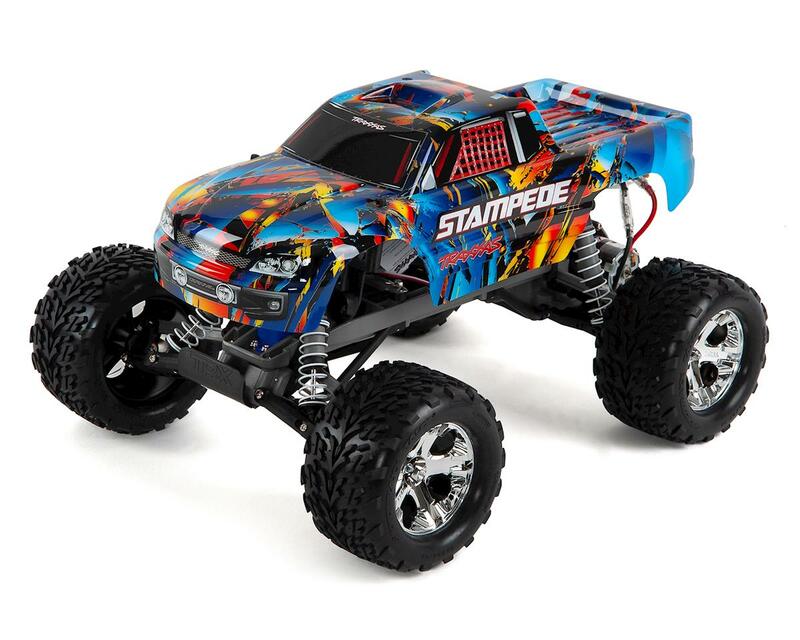 Its legendary ruggedness has made the Stampede name synonymous with off-road fun. Today, the Stampede has a bold look, innovative features, and of course, more power. 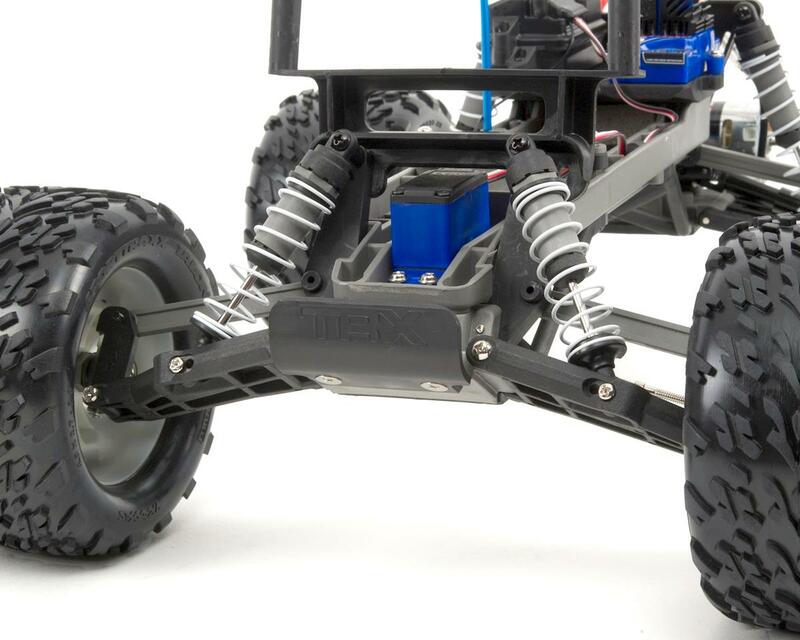 With a top speed of 30+mph and a tall drive-over-anything ground clearance, Stampede rips through grass and powers over curbs. Waterproof electronics allow it to blast through puddles and shred snow for all-weather adventure. 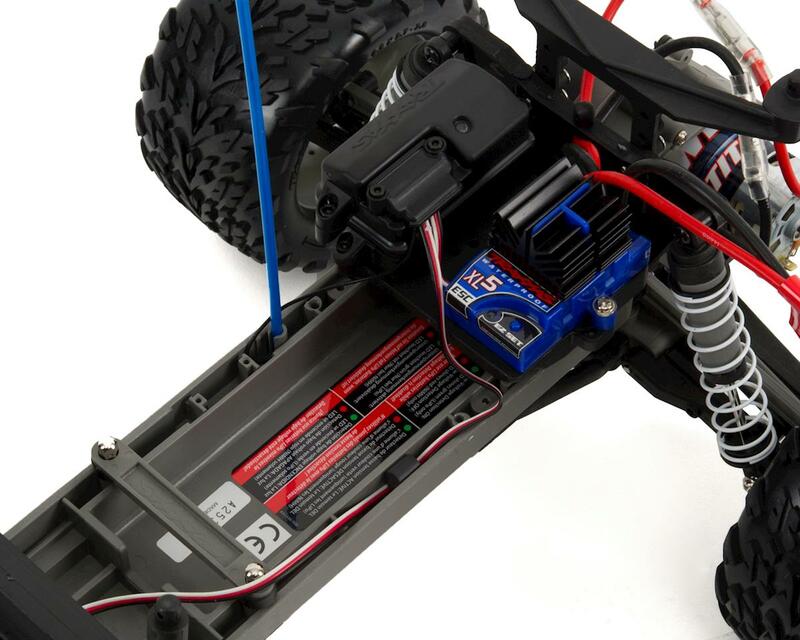 Step up to genuine Traxxas quality and performance and discover a whole new level of fun with the Traxxas Stampede! 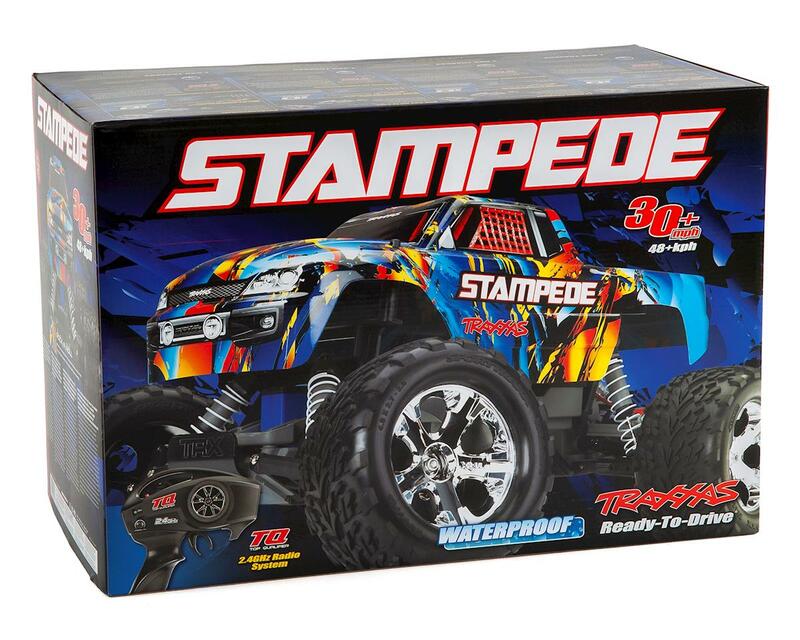 The Stampede rolls out of the box fully assembled and Ready-To-Race® with the TQ™ 2.4GHz 2-channel radio system, waterproof XL-5 Electronic Speed Control and Titan 12T motor. 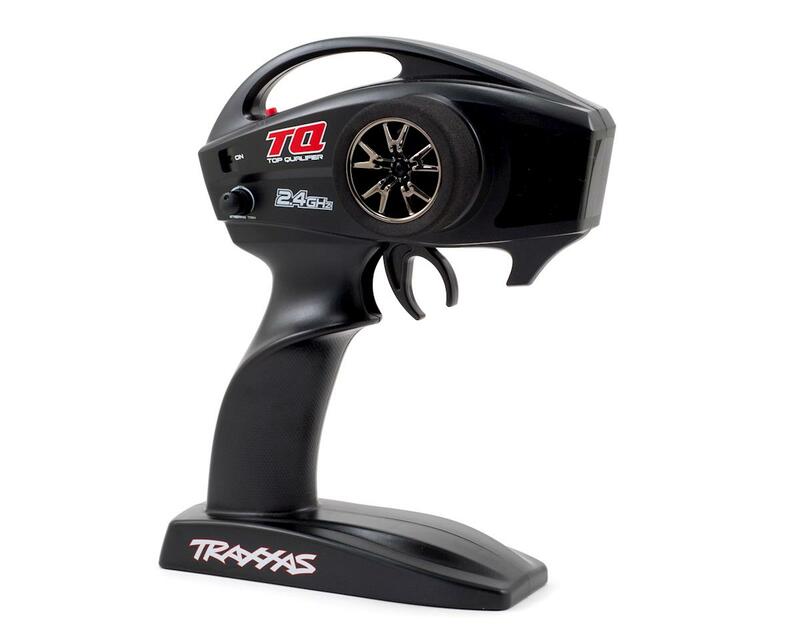 No other truck combines Traxxas' level of support with unparalleled parts availability.